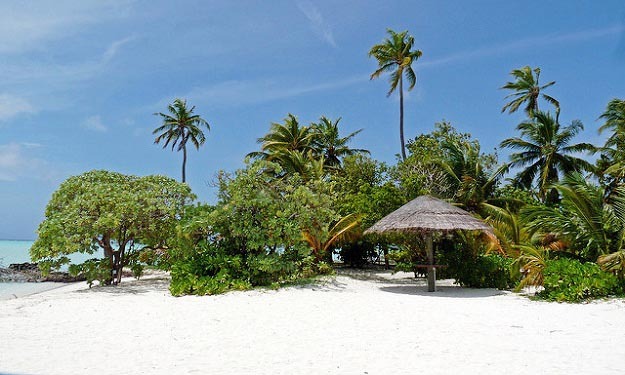 Embudu Village is a popular choice for those looking to experience Maldives devoiding the norm of a high budget. 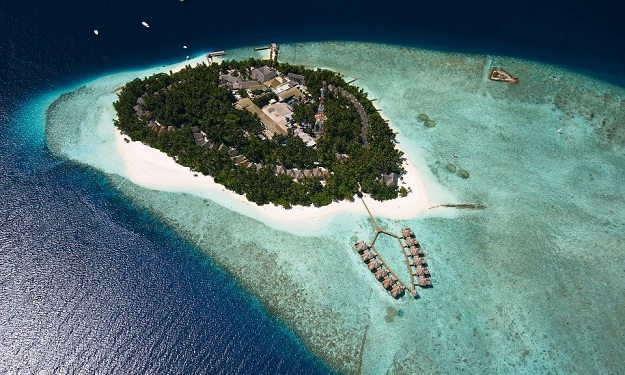 Those looking for a cheap water villa in the Maldives should find good value here indeed. 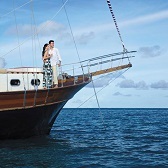 As one of the first resorts in the Maldives, Embudu has stayed pure and natural. 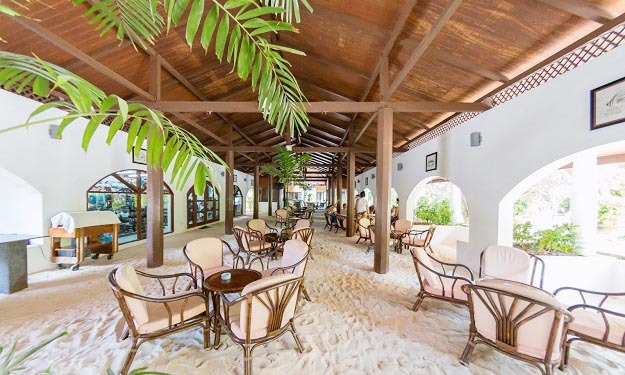 It is as relaxed as its sand floor reception suggests, and has a thoroughly unpretentious atmosphere. 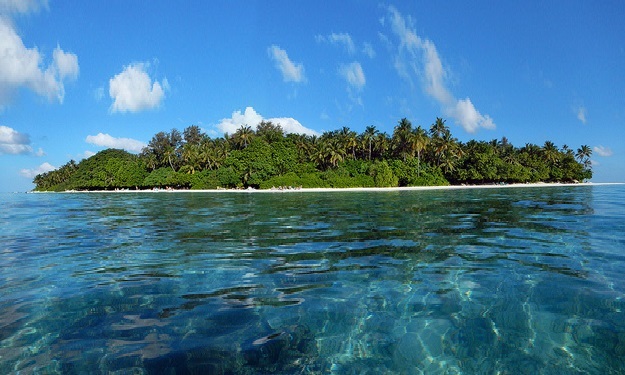 The island has some gorgeous beaches, is thickly vegetated and has a very accessible house reef. 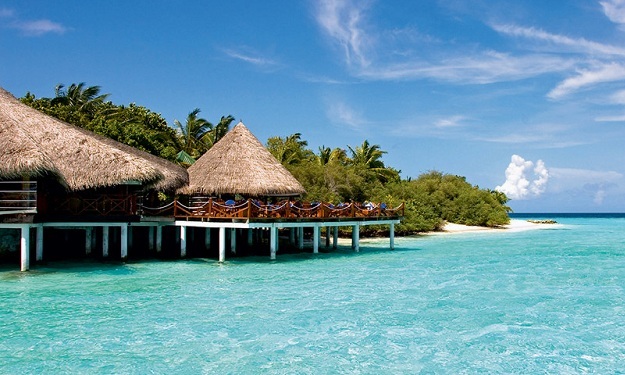 Enjoy the tranquility of the turquoise water and the sound of the waves on the endless beaches. 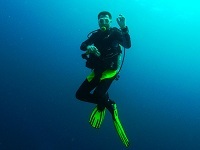 Diving is of excellent value here with over 90 different sites in the nearby area. 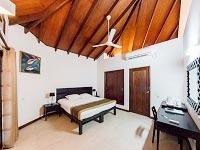 Embudu Village​ beautiful superior rooms are very close to the beach. And all these rooms, have a kingsize bed, airconditioner, warm and cold water, rain head shower, coffee and tea maker and a build in safe. 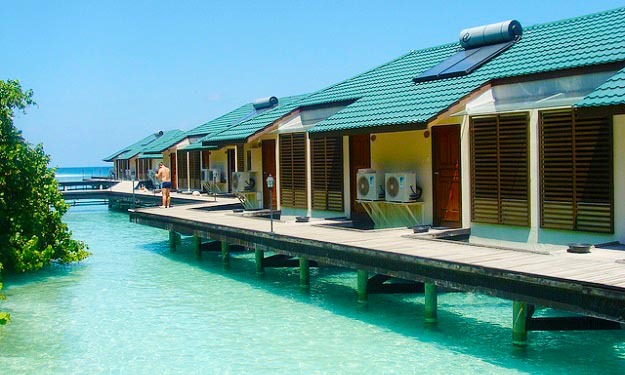 The sixteen Water Bungalows have recently been refurbished. 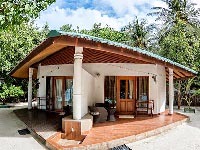 All these beautiful bungalows are exclusive equipped with: Airconditioning, hot and cold water, bath tube with jacuzzi, telephone, satelite TV, Mini Fridge, safe and a glass floor panel to view the underneath fish and corals..
On the terrace you will find a comfortable sitting area to relax and enjoy the beautiful view. 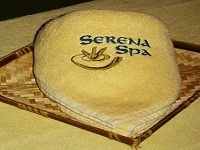 Serena Spa, a haven of peace and tranquility set against the ambience of natural beauty, for those who wish to relax, restore and rejuvenate, body mind and spirit. A paradise filled with exotic aromas, essential oils, spice and floral fragrances, designed to enhance and optimise the total “mind - body experience”. Take a time-out from life. Serena Spa is a sanctuary designed to peel away the layers of daily stress with select restorative and rejuvenating therapies that combine the best of time tested holistic treatments. Located at the north drop-off of the south male atoll close to the outside reef the tropic paradise island is famous for its tremendous variety of marine life and all the colourful corals at the housereef.Due to this central location the best dive sites of the north as well as the south male atoll are very close. 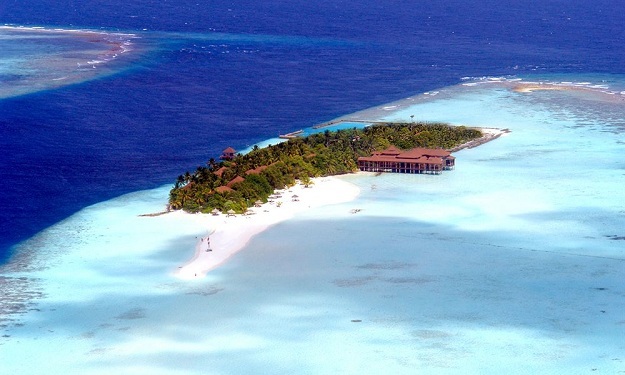 Maldives most beautiful dive sites are visited by Diverland Embudu. 35 different divespots with boattrips of 1 hour maximum. Once you found the base, the fun part of your vacation can begin. For those who did not bring a snorkel or fins, do not worry, at Diverland Embudu you can rent them. Diverland Embudu is also the right place for people who want to experience their first underwater experiences. Please join the resort course. 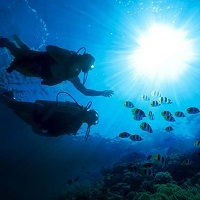 In this course you will get acquainted with the basics of scuba diving. 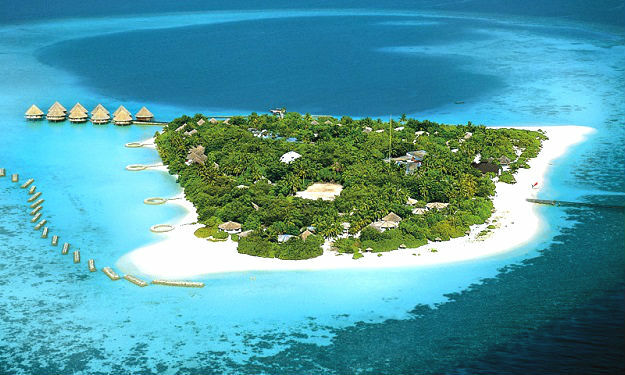 Located at the north drop-off of the South Male Atoll close to the outside reef the tropic paradise island is famous for its tremendous variety of marine life and all the colourful corals at the house reef. 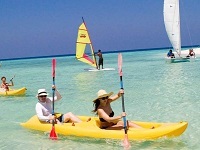 You can indulge in various sports activities such as scuba diving, volleyball, table tennis, badminton and darts. 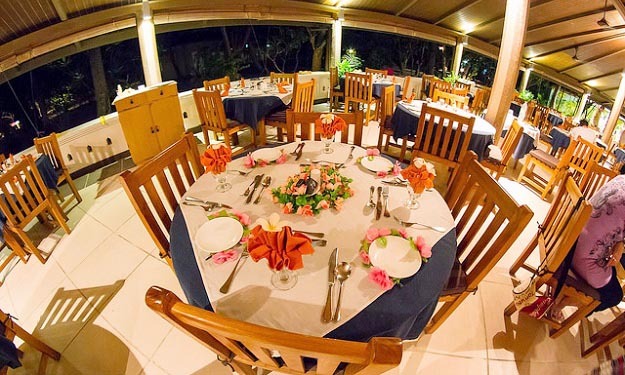 The resort also provides evening entertainments such as magic act and discotheque. 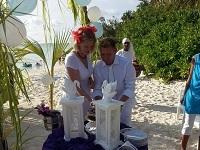 Guests can renew their vows on the white sandy beaches of Embudhu. 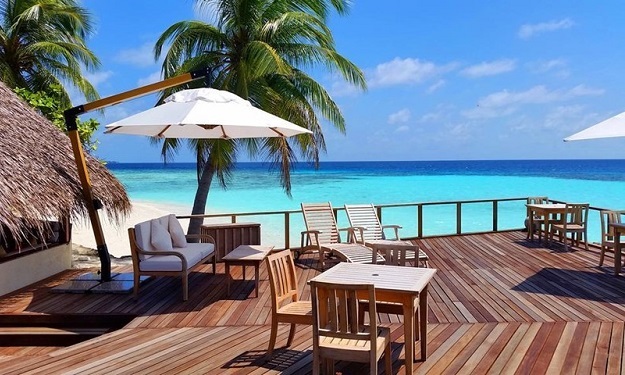 It is not actually possible to marry in the Maldives as a foreign citizen, but it is the perfect destination to renew your vows or have a blessing. 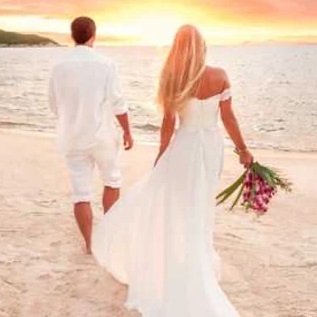 Embudu Village is probably one of the most romantic places to renew your vows. Choice differs from meal to meal and based on fresh fish, meat and choice fresh vegetables followed by fresh fruit or dessert and finally tea or coffee. The resort offer well stocked bars for your convenience.